Diz (Joel Courtney) is a reckless teenage drifter living life on the run. Abandoned by his parents as a child, he looks out for himself and doesn't accept handouts. He takes whatever he wants and runs. Jaded and determined to answer to no one, Diz lives a life marked by thievery and abandonment. Things change for Diz when he floats into a small town on the Snake River. There he is confronted by an unflappable old man named Marty and falls for Marty's guarded granddaughter, Selah. When Diz robs a local drug-dealing crazy, he becomes the owner of a giant pile of cash and the target of two vicious killers. With more money than he knows what to do with, and criminals at his heels, Diz puts the people he's learned to care about in danger, still trying to win Selah. But some things can't be stolen or bought. The River Thief is a film about guilt, self-sacrifice, and accepting life as a gift. Diz: [narrating] Some places change things - some days, some people... they can put a mark on you that won't ever wash off. The good ones, and the bad ones. Learned that more than one way. Before all this, life was simple. I was an alley kid. If I needed something and you didn't, I made it mine. An empty bed, a clean shirt, a bike here or a truck there. Might seem awful, but... I never felt bad. Not usually. 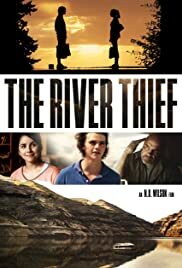 The River Thief is a family movie, especially suited to teenagers and young adults, written and produced by N. D. Wilson, most known for his young adult fiction and children's literature. This was his first film. Wilson has deep Christian convictions, and this plays out in The River Thief. Christian themes are subtle most the way through the movie. With that said, one expects a certain kind of film, and it is in light of this that the film should be reviewed fairly. Very briefly, the film starts off with a series of criminal acts by the river thief, Diz, a delinquent adolescent, apparently with a troubled past. He finds himself a reluctant friend, Raleigh, and has brief interactions with her grandfather, Marty, both of whom challenge the thief's criminal behavior and attitude on life. The main themes of the film are the gift of life and forgiveness, not to mention the consequences of one's actions. The consequences of the thief's actions ultimately lead to abduction and death, including in the end his own death. The film is not without weakness. Firstly, I felt the thievery of the main character, Diz, in the opening scenes were overdone and could have been more subtle, it was also utterly senseless and thus unconvincing. Secondly, the characters were somewhat underdeveloped, and the plot might have benefited from refinement, that is, it felt 'clunky' at times. Lastly, I have a problem with Wilson having a kid running about with a fire arm. The same can be said of his recent book, Outlaws of Time: The Legend of Sam Miracle (which despite this, is a wonderful literary work). Perhaps this is an American thing? Nevertheless, the film seems to have more strengths than weaknesses. Firstly, the setting is an arid landscape and is visually quite stunning, together with a small American town and its typical architecture. All of this is captured quite beautifully by great cinematography. Secondly, the actions in the firm are exaggerated, and this becomes rather creative and fun at times. The evil and violence on the other hand is subtle which allows for vivid imagination, at least until one of the last scenes where murder is openly displayed. And it is here where Wilson's religious narrative finds its strongest expression. As one might expect, The River Thief has a moving twist in the end, and is ultimately a story of tremendous grace. 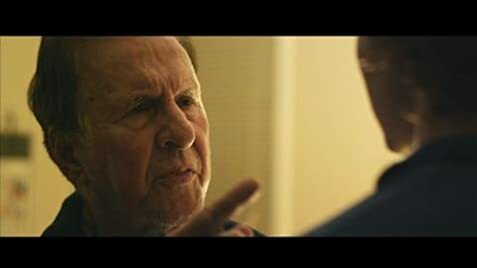 Further, I appreciated the life lessons that punctuated the film, one particular saying that stood out to me was, "Stealing gives you control; gratitude gives you freedom". After watching the film it made me think of John Steinbeck's, Of Mice and Men, and Victor Hugo's Les Misérables. Most Christian film's unfortunately 'milk' their Christian agendas and religious themes. The River Thief avoids this, at least for the most part. In my opinion, this makes it one of the best Christian films of late, even if I feel The River Thief might have done better. But considering that this is a first N. D. Wilson film, with a younger audience in mind, and limited resources, it's a wonderful film, well worth a watch! Whether we like it or not, Christians do have a grand story to tell, the question is how well they tell it!